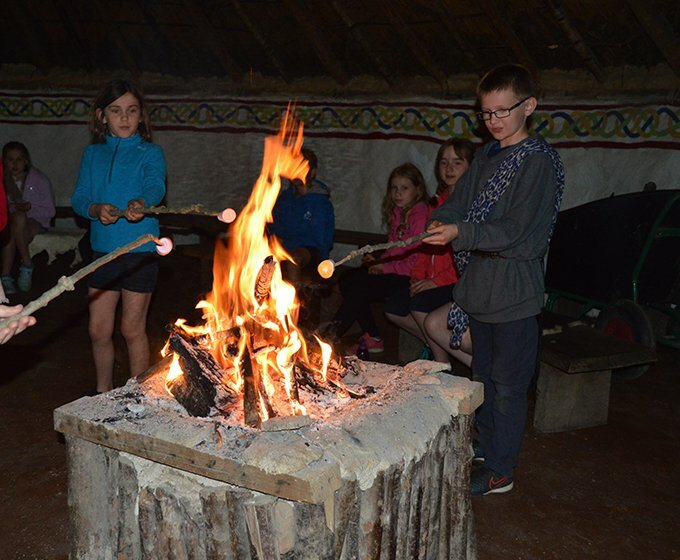 Immerse Your Class in Prehistory and Sleep in a Roundhouse! Spend the first day learning primitive skills from the Stone Age including flint knapping demonstrations to den building. 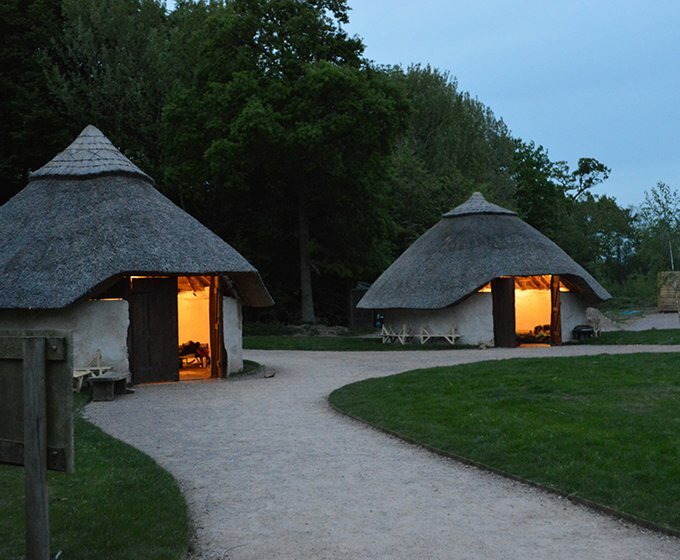 Then stay overnight sleeping in one of our amazing roundhouses. We have five brand new 6m diameter roundhouses that are packed with modern comforts including: radiator heating, WiFi, electricity, lighting, painted insulated floor and walls, each one has a set of soft gym mats to cover the floor so the children have a comfortable night’s sleep in their sleeping bags. We provide guest beds for teachers, so all you need to bring is a sleeping bag and pillow! After afternoon and evening activities, you can sit down to your delicious BBQ dinner. Spend the second day as an early Farmer and after a second sleepover in the roundhouses, take part in the Warrior Day with clan challenges! BBQ Dinner and Evening Activities of Marshmallows and bat walk when it’s dark! 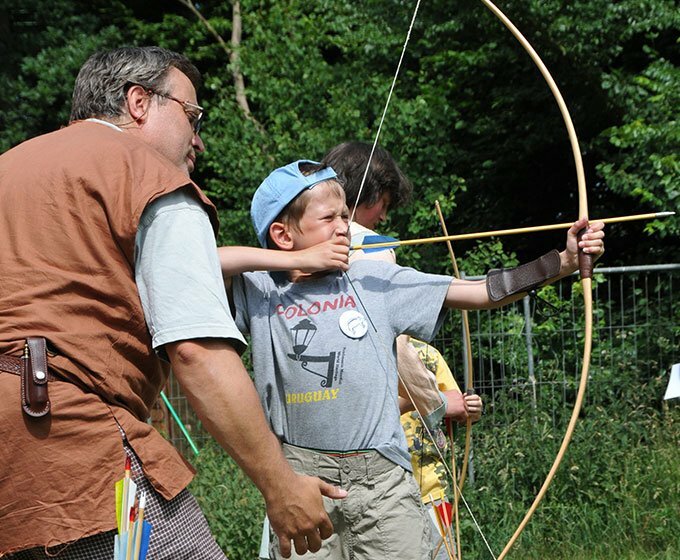 Including evening meal and breakfast plus the second day’s packed lunch AND all the exciting prehistory learning activities during your three days! School trips with an overnight stay can be life changing experiences for young people. We are campaigning for Brilliant Residentials to enable more young people to experience more high-quality residentials, which can lead to improved resilience, relationships, achievement and brighter, brilliant futures for young people. The Celtic Harmony Prehistory residential trip promoted independence, teamwork, communication and organisation skills gained by simply staying away from home. The excellent leaders, great information, good food and sleeping arrangements combined to create a fantastic experience.